Children’s Theatre on Tour Coming to Preschool! The Arkansas Arts Center Children’s Theatre on Tour will perform The Engine That Thought It Could at Hobgood Auditorium on Thursday, April 17, 2014 at 9:30 am. Children’s Theatre on Tour is part of the State Services program at the Arkansas Arts Center, the state’s premiere center for visual and performing arts with a renowned collection of international art. The Children’s Theatre on Tour invites Smackover Preschool children and parents along on this classic tale of determination. 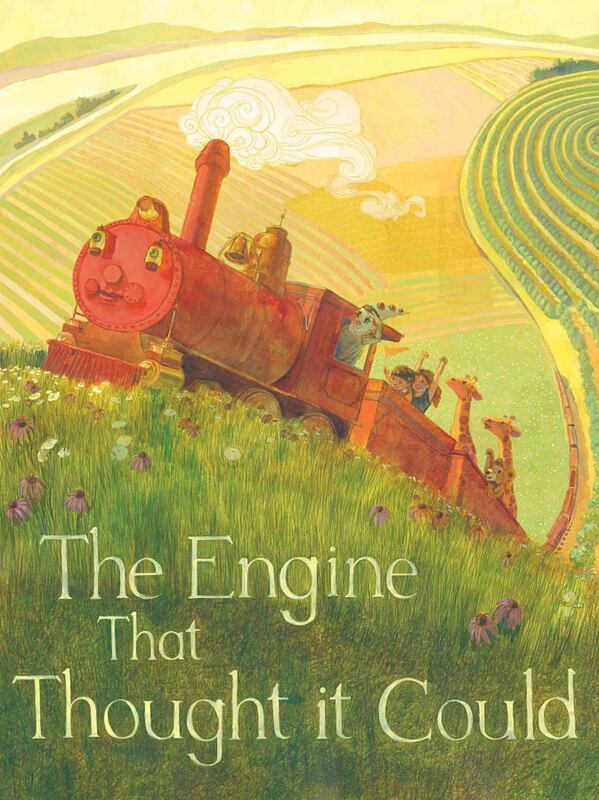 Join in as Millie, the Little Engine, learns that hard work pays off even when faced with adversity. The play is written by Alan Keith Smith and based on the 1906 story by Reverend Charles S. Wing. Children’s Theatre on Tour will be traveling to tour locations around the state from April 1 to May 9 performing The Engine That Thought It Could. Although this production closes out the 2013-2014 season, a new line-up of plays will begin touring later this year. Kindergarten Registration will also be held on Thursday, April 17. Drop by the elementary school before or after the play to register your child for Kindergarten! Posted in Buckaroo News on March 31, 2014 by The Buckaroo Blog. Looking for a way to keep healthy and include more produce in your diet? Click on the link below to access the March edition of School Times! Posted in Buckaroo Community on March 28, 2014 by The Buckaroo Blog. The following Smackover High School students met their Accelerated Reader (AR) goals for the 3rd nine weeks. Congratulations to these students! Posted in Buckaroo News on March 27, 2014 by The Buckaroo Blog. Posted in Buckaroo News on March 26, 2014 by The Buckaroo Blog. Nominations for the Gifted and Talented Program are being accepted in the Smackover School District. Nominations are accepted for students in first through eleventh grades. The deadline for nominations is April 11, 2014. All nominations must be submitted to the GT Coordinator by that date. Parents desiring additional information or nomination forms should contact the GT Coordinator at the Smackover Elementary School Campus. Posted in Buckaroo News on March 25, 2014 by The Buckaroo Blog. For the sixth consecutive year, the University of Arkansas at Little Rock (UALR) will be hosting the 2014 Exxon Mobil Bernard Harris Summer Science Camp from July 6 – 18, 2014. This camp is available at 19 other universities nationwide and is the only camp site in Arkansas. UALR will select 48 rising 6th through 8th graders with at least a “B” average in math and science. There will also be an equal distribution of boys and girls and across all grade levels. The program supports historically underserved and underrepresented students with limited opportunities. This includes students from rural areas and or school districts where opportunities are limited. ALL interested students should apply! The program is free and residential with a nurse on staff and certified instructors and counselors. All personnel are required to pass background checks. Applications are due May 3 and parents will receive notification by May 27. If you have any questions, please feel free to contact Vernard Henley via e-mail or by phone, 501-569-8203. Posted in Buckaroo News on March 24, 2014 by The Buckaroo Blog. Tryouts for the Junior Buckaroo Cheerleaders were held this week. Each student trying out for the squad was assigned a number. All new junior high cheerleaders are to pick up a fund raising packet from the high school office on Monday, March 31st. Camp deposits of $50 are due by April 15. Congratulations to those student who made the cheer squad! Posted in Buckaroo News on March 21, 2014 by The Buckaroo Blog.